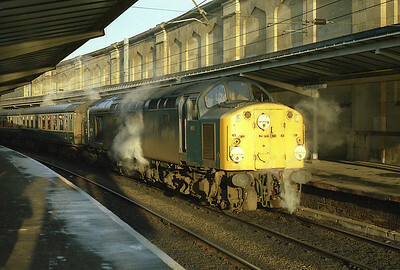 On 5/1/85 just 2 weeks before the end of squadron service, 40118 steam heats the 10.40 to Leeds in Carlisle's platform 6. 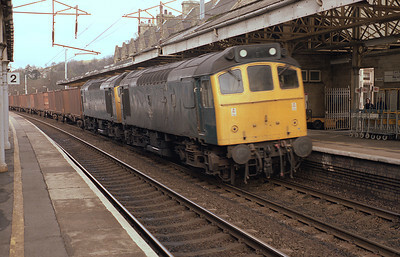 40118 waits time at Skipton with the 10.40 Carlisle-Leeds 5/1/85. 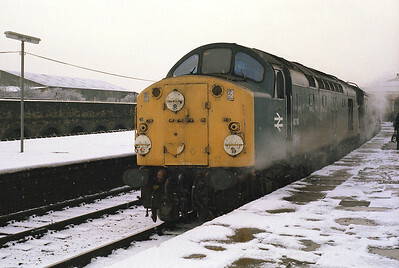 D200/40122 arrives at Settle with the 15.55 Leeds-Carlisle 6/4/85. 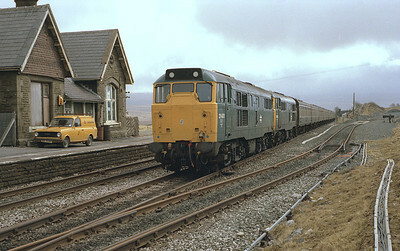 Before the down platform was built 31401+31421 pass Ribblehead with the morning Hull-Carlisle 29/3/86. 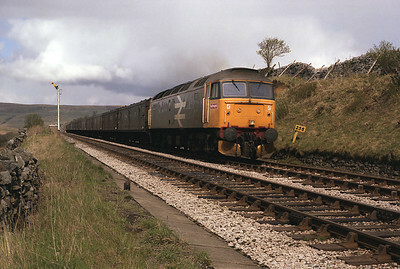 31434 passes Blea Moor with the morning Carlisle-Leeds train 29/3/86. 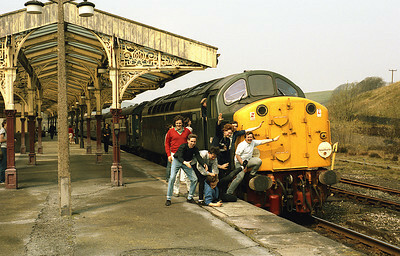 An impromptu photo-stop on the retimed 10.57 Carlisle-Leeds with D200 at Hellifield 3/5/86. 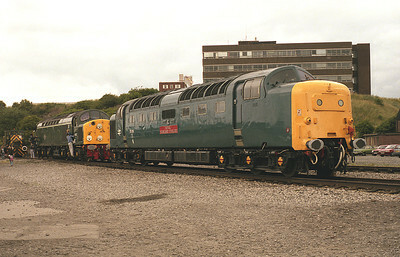 Carlisle Upperby open day 19/7/86: 37058, 58017, 50007, 56130, 20008, 20103, 55019, 40122. 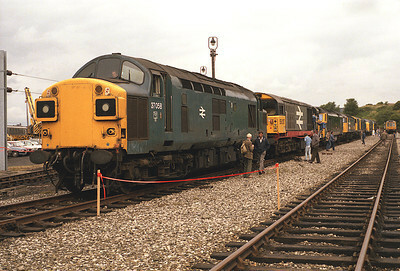 55019 and 40122 pose at Upperby open day 19/7/86. 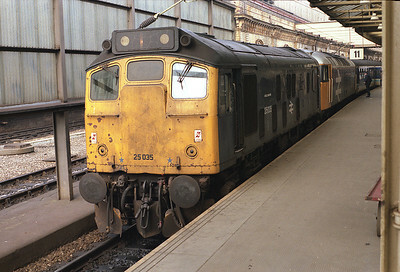 50007 at Upperby open day, having arrived on the Bristol-Glasgow sleeper train, 19/7/86. 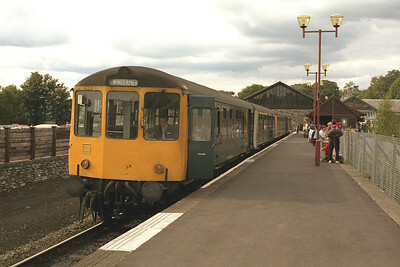 A class 104 DMU waits to leave Windermere with the 16.20 to Oxenholme 23/8/86. "Mobile Museum" 2 car DMU formed of Gloucester class 100 M53355 and Cravens class 105 M53812 stands at Oxenholme together with a class 104 set, 23/8/86. 27052 stands south of Oxenholme with the wiring train on Sunday 25/1/87. 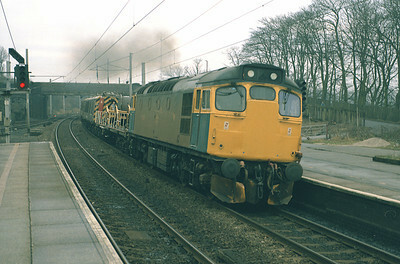 27052 rasps through Oxenholme returning to Upperby with the overhead wiring maintenance train 25/1/87. 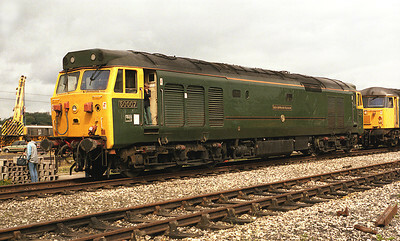 Class 87s were conceived as mixed traffic locos. 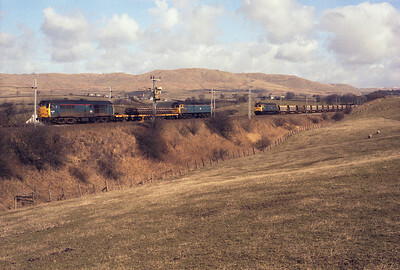 On a dull 13/2/87 87029+87014 stand in Grayrigg up loop with a steel coil train from Ravenscraig as an unidentified 87 rushes past with a Glasgow-Euston express. 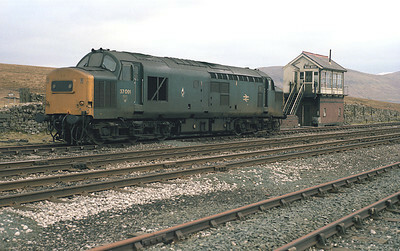 On S&C diversion weekends a standby loco was traditionally positioned at Blea Moor. Unusually on 21/2/87 37091 was used. 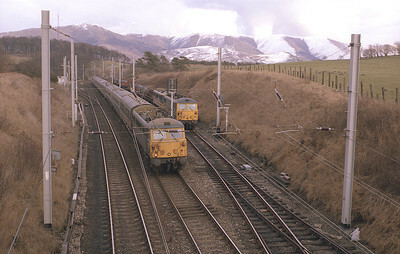 25903+25904 pass Oxenholme with rock salt containers 28/2/87. 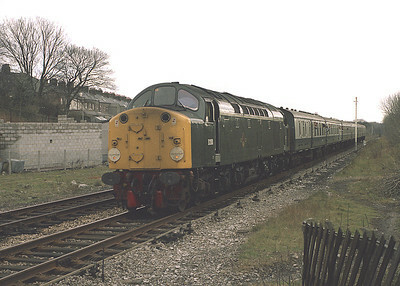 Due to problems with the overheads on 28/2/87, northbound trains had to be diesel hauled. 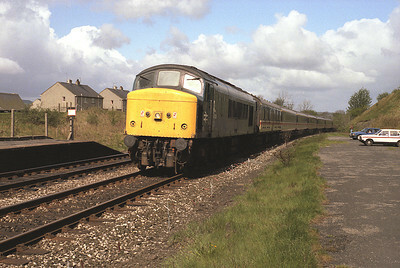 No Heat 47381 arrives in Oxenholne with 1S74 the Euston-Stranraer complete with motorail vans. 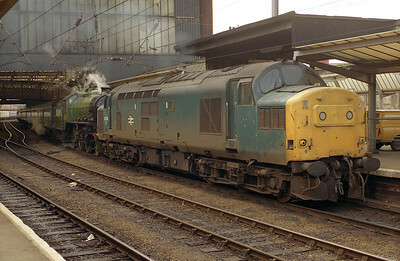 25035 stands at Crewe having dragged failed 47424 from Chester on the 07.09 Holyhead-Cardiff 14/3/87. 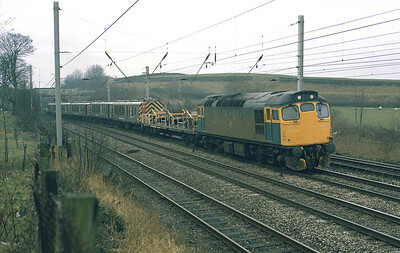 Sunday engineering work at Lambrigg 15/3/87 with 31445, 47314 and another 47. 85021 stands at Oxenholme with the 15.20 Glasgow-Nottingham 22/4/87. 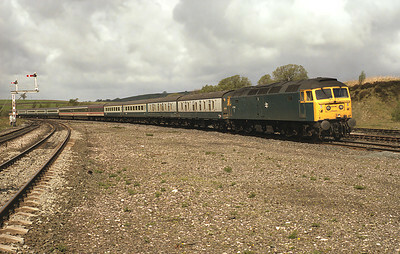 Very unusually 45124 was used to haul a train of mk3s on 2/5/87. 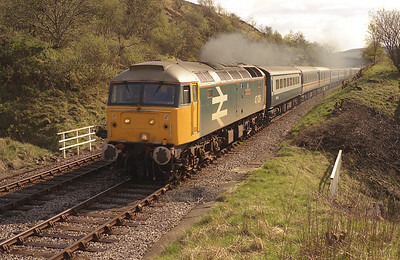 The diverted 07.10 Glasgow-Euston passes Long Preston. 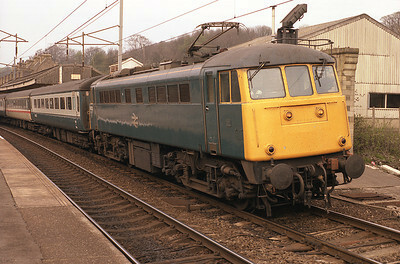 47545 heads a diverted Carlisle-Euston train at Hellifield 2/5/87. 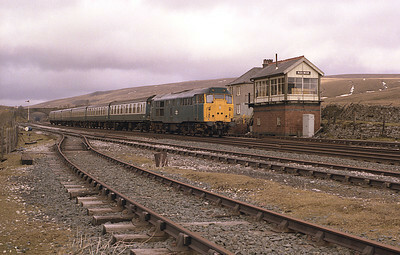 47018 passes Garsdale down distant with a long van train 3/5/87. 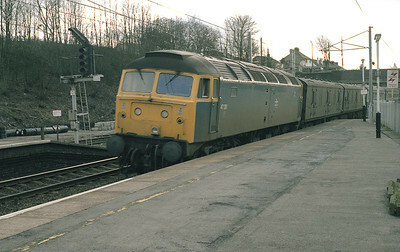 47638 "County of Kent" hauls a northbound diverted cross country train through Garsdale 3/5/87. 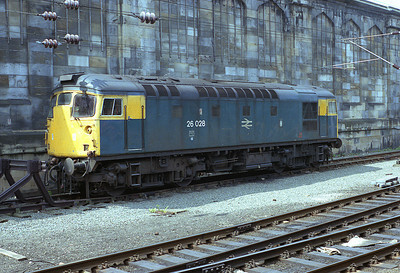 26028 was stabled adjacent to Carlisle station on 25/5/87. 37226 pilots steam loco 2005 on a northbound special at Carlisle 13/6/87. 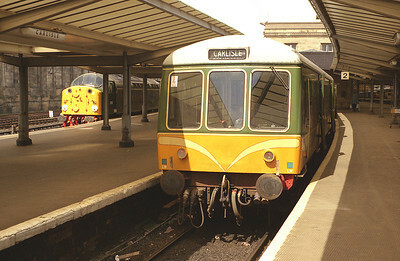 Two of Kingmoor's green pets stand in carlisle station in June 1987. 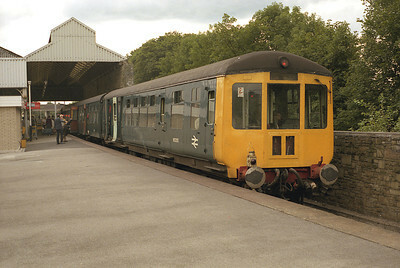 Class 108 M53964+M54247 on a Whitehaven service and D200/40122 on a Leeds service. 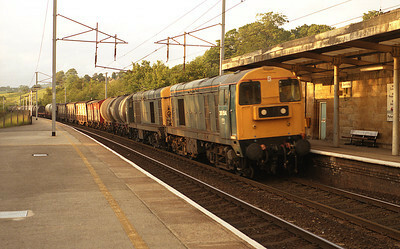 Never a common sight at Oxenholme, 20154+20005 worked a southbound mixed freight on the evening of 30/6/87.